One thing unites all the different sub-genres that make crime fiction so rich: the search for truth. Detectives, private investigators, psychologists, lawyers and unravellers of all kinds are concerned to strip away deliberate or casually misleading disguises to reveal the uncomfortable secrets of their own particular mystery and, in the best of the novels, offer some new insights into the common difficulties of our different lives. This month sees three quite different aspects of the same search. 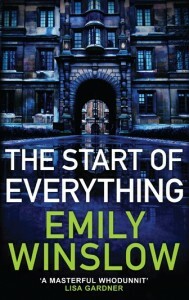 Emily Winslow is a new name in crime and her novel, appropriately entitled The Start of Everything, is set in Cambridge. We are invited in to the mystery by Mathilde Oliver, the clever but alienated daughter of an academic. Mathilde struggles with crowds, people touching her, uncertainty, and her father’s inability to understand and accept the way she is. Her job at the university is redirecting insufficiently addressed post, which leads her to search for an elusive woman called Katja, who is being sent undeliverable letters. At the same time DI Chloe Frohmann and DCI Morris Keene are trying to identify the body of a young woman found beside a fen sluice gate. 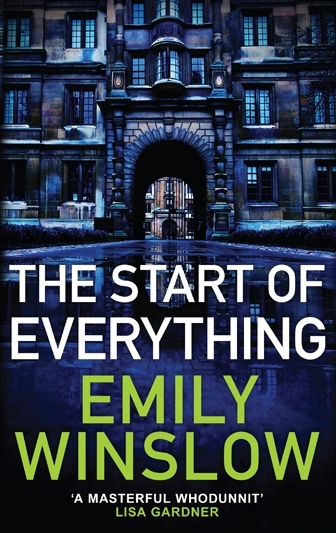 As the two investigations collide, the narrative is told in all three voices, as well as those of a young student temporarily working as a nanny and one of Dr Oliver’s colleagues. The two police officers have satisfactorily complicated private and professional lives and Mathilde’s struggle to cope with the barriers raised by her own mind are immediately engaging. Her ways of seeing and expressing what she sees provide an interesting defamiliarization, which adds piquancy to the customary collection of clues and statements. Linda Castillo’s series of crime novels set in Ohio uses the customs and belief of the Amish community to similar effect. Police Chief Katie Burkholder was herself brought up in an Amish family but escaped in her teens. In spite of her continuing dislike of aspects of the faith, such as its insistence on accepting whatever God sends, she still finds much to admire, and much to regret about her own flight. Her Last Breath opens with an appalling crash when a speeding truck smashes into an Amish buggy, driven by the father of three children he has been taking to the local doctor for their regular check-ups. As in any closed community, however admirable, there are difficulties, agonies and cruelties to understand. Burkholder’s own past holds secrets and her need to keep them hidden fights with her determination to reveal everyone else’s. This is a charming and fast-moving exploration of an unfamiliar world. 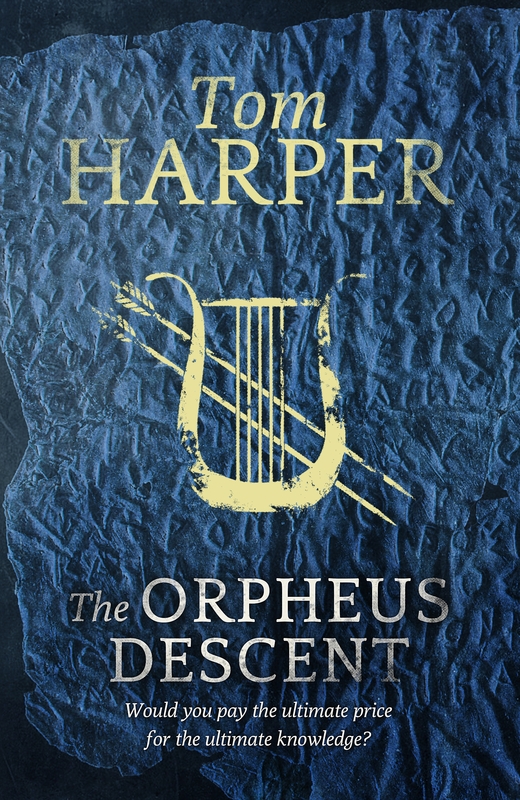 Tom Harper takes the search for truth beyond the crime at the centre of The Orpheus Descent into the heart of Platonic philosphy. This is a timeslip novel, of a kind I often find hard to admire because so many writers are unable to write as convincingly about past and present. Harper is an exception, bringing both his modern hero, musician Jonah Barnes, and Plato to vivid life. Jonah’s wife, Lily, is the director of a dig in Sibari in southern Italy. A gold tablet of unimaginable value has been found in an exploratory trench, with an inscription that begins ‘The words of Memory, carved in gold’. When Lily disappears, Jonah refuses to believe she has left him or gone back to an old lover. Certain that she has been kidnapped, he travels after her to some very dark places, both real and metaphorical. Woven into the account of his journey is that of Plato, still mourning his friend and hero Socrates and in search of every kind of truth. 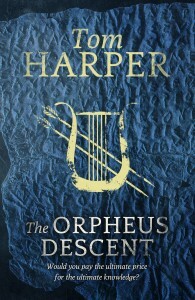 Harper’s writing combines evocative description with perspicuous accounts of Plato’s developing thought. There is food here for mind, sense, and heart. It is exceedingly high-class entertainment.